I made a gif in photoshop. It runs for about 40 seconds. How can I contract the timeline to make it run for 20 seconds? It is a video animation and not a frame animation. 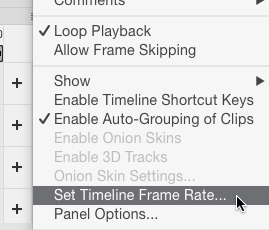 Decrease the frame rate for a faster moving timeline. This won't create huge differences if your animation is set at the default 30fps. Of course, this mean you may need to adjust layers and other aspects of the animation. If you are seeking one special key command or shortcut to shorted the entire animation including all keyframes and layer alterations in one fell swoop, I don't think there is one. You could always render your animation to a video, then open the resulting video in Photoshop again and adjust the playback speed. 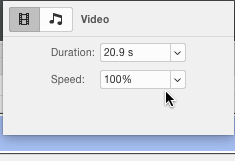 Playback speed is only an option for video layers.